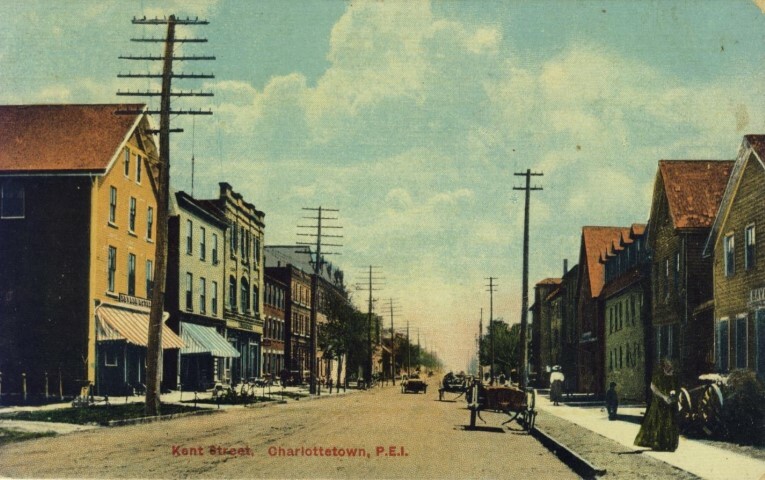 Kent Street between Queen Street and University Avenue was a mix of commercial and residential for much of the 19th century. There is little left in the area from that time. 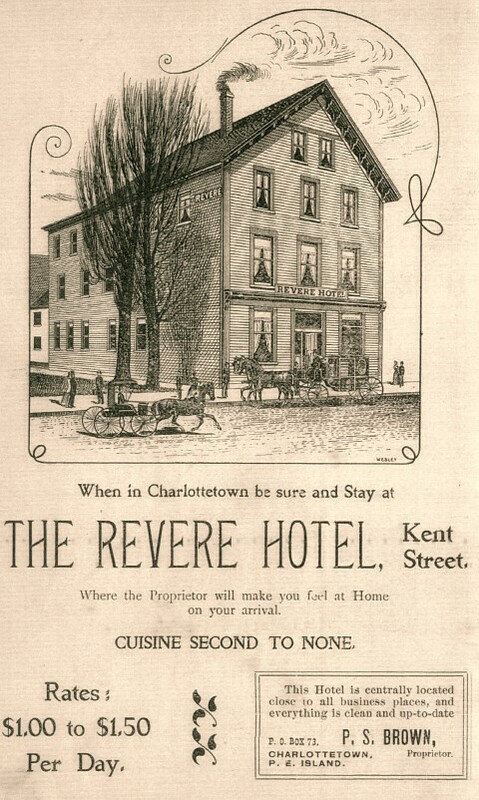 On the north side of the street, The Revere Hotel was popular with travellers for more than half a century. Opened in 1894, the hotel was struck by fire in 1974 and was subsequently torn down. Poet, Milton Acorn was a guest of the hotel on the night of the blaze and just got out by the skin of his teeth. level is now a modern storefront. Although the home faced bustling Kent Street, the parlour and the dining rooms overlooked a grassy area in the backyard. The building stayed in the Hogan family for a number of years until Michael Hogan sold it in 1894 to Dr. Frederick Kelly. Kelly lived in one side of the building and rented the other side to George Reddin of the Reddin Bros. Drug Store. It later became a commercial building. The south side of the street was generally made up of wood framed buildings early on but this gradually changed throughout the 20th century. Some of the businesses along this stretch included Central Trust Bank (later TD bank) on the southeast corner of Queen and Kent in the Tweel Building (1957); Stead’s Pharmacy (formerly the North American Hotel site); Cudmore’s Dry Cleaning and Whitlock’s Tire Service. Many still remember that one could access Holman’s rear parking lot from near where you are standing. 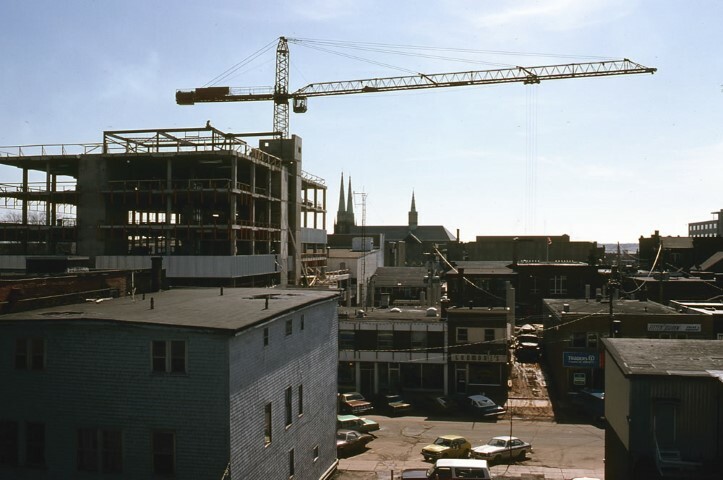 One of the most influential developments on this block was the Confederation Court Mall and across the street, the Royal Trust Tower and pedway. In 1974, the Stevenson Kellogg report strongly recommended that major infrastructure be established within the City because it was deteriorating and decay had already started to begin. It was then that planning began for the Confederation Court Mall. Opened in 1981, the $6.5 million mall and office tower grew out of the back yards, parking lots and warehouses of many of the local businesses. A joint project of the Charlottetown Area Development Corporation, businesses and property owners on the block, the complex was created by expanding existing buildings and completely refurbishing the stores and offices.